Keyword Research can be one of the most time consuming aspects of optimization. Now you can quickly create or modify your keywords. Enter a master keyword and will generate hundreds of related keywords for you to target! Our built-in Meta tag generator will help you to create or modify keywords, description tag and title tag for your website with a few clicks. You can also edit multiple HTML files at once. Our search engine optimization tool is now even faster, allowing you unlimited multiple connections for super-fast submission processing. You can specify the number of connections you want, making it suitable for your internet connection speed. With our new engine database design and two level category selections, your website will be submitted more accurately. For directory type engines, the program will look at both the sub-category and the main category and then make sure the best category is chosen. This smart search function tool helps you to verify your URLs to make sure that they are correct and all of your web pages are working correctly. 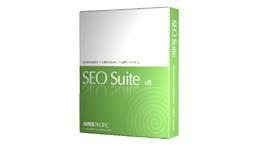 Why not try our high level tool for SEO?